Every fortnight at DKA we take it in turns to present something design based to the whole team and we’re calling it DKA presents. Presenting to our peers means we get the opportunity to practice our presenting skills and share our passions with our colleagues. We get anonymous feedback from the audience to help us develop our presenting style and everyone gets to eat pizza! So all in all, everyone looks forward to every other Wednesday lunchtime! I have never had an overriding ambition to squeeze a 420 place primary school into a box, but when it’s the only solution, needs must, and sometimes with surprisingly good results. A village in Wiltshire needed a new Primary School. 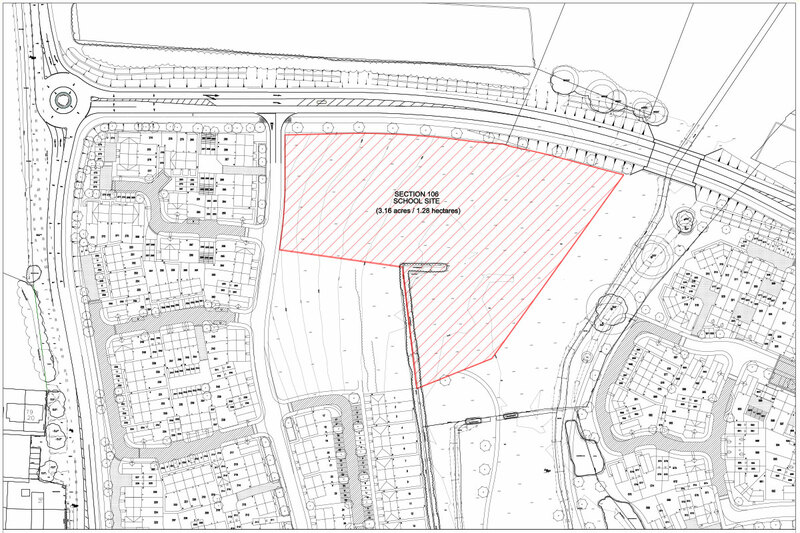 Hundreds of houses were planned, so the housing developer, with a little encouragement from Wiltshire Council, provided a site and funding for a 210 place primary school, but Wiltshire Council knew they needed space for twice that number. Negotiations for additional land fell through, so a 420 place school had to be built on a site for 210. 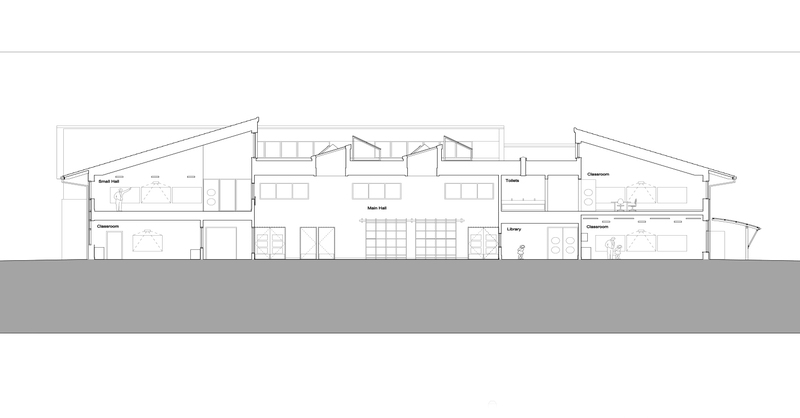 DKA were appointed to design the building, make a planning application and prepare tender documentation. It was soon discovered, that in practical terms, the site was even smaller than first thought. More than half of it was within a river flood plain; only a small area was suitable for the School building, car park, playground, and pre-school nursery. Once space for a car park was determined the remaining area was tiny. The school would have to be two storey, with only the hall being single storey, everything else would have to stack on top of each other, and what ’s more, the only shape that could be accommodated was a square; a solid, square box. Schools have a lot of rooms that require windows, so a square is not the obvious shape. Anyone in the middle is too far from a window to see out, so how was it going to work? Well, the only teaching space that doesn’t require a view is the hall, so this had to go in the middle. Being a double height space roof lights could be used to bring oodles of daylight into the heart of the building, and small rooms around the hall could have windows looking into it, borrowing light and something of a view. Classrooms arranged around the outside could have direct access to daylight and a more traditional outlook. So what rooms could go on the first floor? Reception and Infant classrooms need direct access to the outside, so these rooms and their associated toilets and stores have to stay at ground level. The hall needs to be bring daylight down to the lower levels, so, along with the kitchen and stores, needs to be at ground level as well. 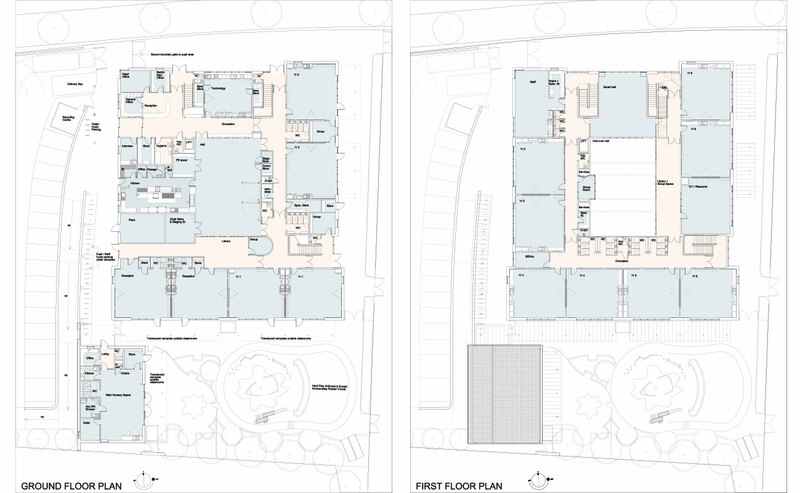 The entrance, reception and offices also need to be at ground level, and as the food technology room is a valuable community space, this would also benefit from being close to the ground floor entrance. Everything else, the junior classrooms, small hall, library, IT and staff room, could all go on the first floor. Two wide staircases could have coped with the numbers for fire escape, but it was felt that three narrower staircases would be better, reducing the risk of very young pupils finding themselves in the middle of the stair away from the safety of a handrail. 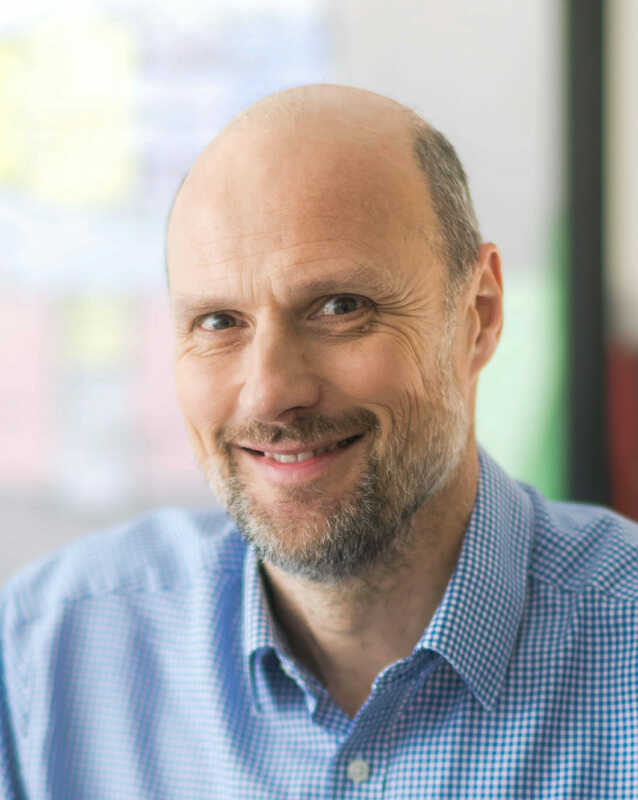 This was the strategy, and although very simple it was not easy to achieve, and with delays caused by attempts to acquire additional land, there was only 5 weeks to design the building and make a planning application. Fortunately, we already had a sketch plan from the options appraisal. This provided a valuable starting position, but it was going to be a hell of a race. The site sloped down to the river and the new estate roads were constructed way above the natural ground level. 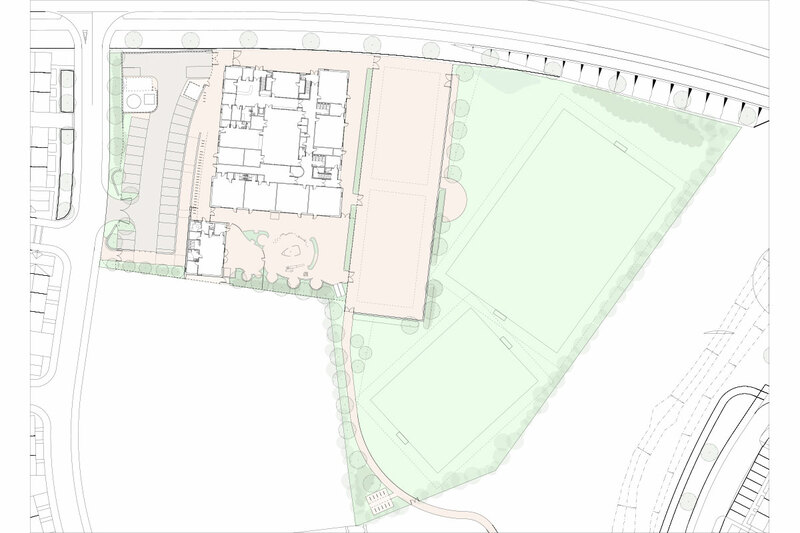 The site would have to be terraced, with the car park at the top, the school in the middle, and the playing field at the bottom. There was no space for a long access road so the whole car park would have to ramp down to the school level, with a footpath alongside for pedestrians. Main entrance, kitchen deliveries, and access to the nursery would all have to be at the bottom of this ramp. The new link road would be very noisy and only classrooms facing away from it could be wholly ventilated by opening windows. By pushing the building north, close to the link road, classrooms on the south side could open onto a quiet playground sheltered from the noise and warmed by the sun. Classrooms to the east and west could be naturally ventilated with sound deadening, but classrooms to the north would have to be mechanically ventilated. It is always assumed that offices and staff spaces are less noise sensitive than teaching spaces, so it made sense to locate these closer to the road along with shared teaching facilities that do not need access to the outside, and that pupils do not occupy for the whole day. Once the principles were established planning the building turned into a giant game of 3D Tetris, out of which emerged some additional benefits. First floor circulation could be used as library overlooking the hall and reception classrooms, being in a dead end, could make better use of their circulation, whilst the location of stairs enabled junior pupils to access the hall without disrupting infants corridors and access their external play space without wandering through the infant playground. Daylight to ground floor classrooms is a major obsession when planning two storey schools. The location of stairs enabled us to maximise the number of classrooms with windows on two sides, and tall wide windows elsewhere enabled us to achieve satisfactory results. On the first floor mono pitch roofs and sloped ceilings over the classrooms allow high level windows at the back to provide additional daylight. 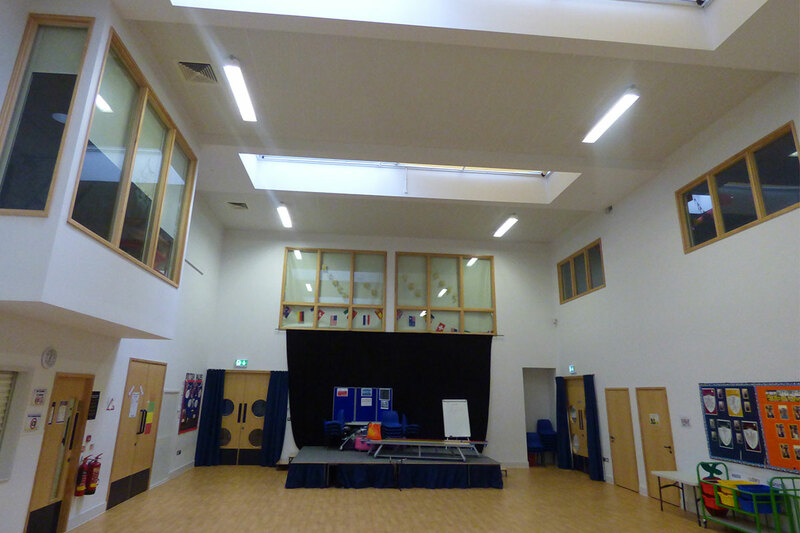 Single storey has many benefits for a primary school; the roof can be used to create interesting internal volumes and enhance day light, layout is less restricted, there are no stairs, and all classrooms have access to the outside. However, at Wellington Primary Academy, there is a two storey school, in a box, which is a great little place to learn.